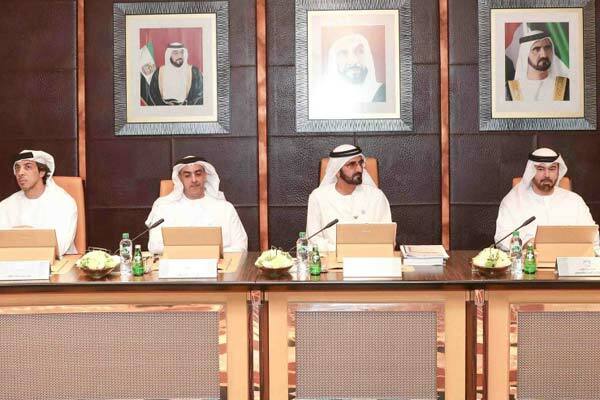 Sheikh Mohammed chairs the Cabinet meeting. The UAE Cabinet yesterday adopted the National Family Policy which aims to build stable and responsible Emirati families in line with the UAE Vision 2021 and UAE Centennial Strategy 2071. The National Family Policy aims at raising awareness of the Emirati family’s rights and duties to ensure their contribution to sustainable social development by building and forming future Emirati families capable of coping with the stresses of life, promoting the stability of family life to generations to come, it said. It includes six components - marriage, family relations, balance of roles, child protection, family protection, and re-engineering the provision of family services to achieve family happiness. The National Family Policy was adopted during the UAE Cabinet meeting in the presence of HH Lt General Sheikh Saif bin Zayed Al Nahyan, Deputy Prime Minister and Minister of the Interior, and HH Sheikh Mansour bin Zayed Al Nahyan, Deputy Prime Minister and Minister of Presidential Affairs. During the meeting, the Cabinet asserted that the UAE family is the foundation of the society and the base to achieve a modern and cohesive society. "We have adopted the National Family Policy in the UAE. Our goal is a stable and prosperous Emirati family. The National Family Policy reflects our interest in the family, which is the nucleus of our society," Sheikh Mohammed bin Rashid said. He also directed the Ministry of Community Development to coordinate with the relevant local and federal entities to implement the policy and its initiatives during the next phase. The Cabinet also issued a Federal Law on regulating the profession of pharmacy, pharmaceuticals and medical products. The law aims to strengthen the capacity of the health sector in the country to combat diseases and provide health security to the UAE. It also issued a Federal Law on the use of Information Technology and Communication in the health sector, in line with the federal government’s efforts to upgrade health services to high levels of quality, and in accordance with the best international standards in this field. The law will regulate the use of technical systems, data storage, exchange, circulation and confidentiality of data, as well as the establishment of a central database among all health authorities in the UAE to provide a unified national information and database to provide reliable statistics. The Cabinet adopted the UAE standards for radio receivers, which aims to attract international investments in the media field and provide an environment-friendly communication service that requires less energy to operate within internationally permitted limits.